There is little more precious than the old horse around the place. These oldies are often the dependable horses that look after a novice rider or give a young horse some confidence when out on the trails. Because they are so valuable and literally have a lifetime of experience under their ‘girth’, we want to do our best to keep them around as long as possible. 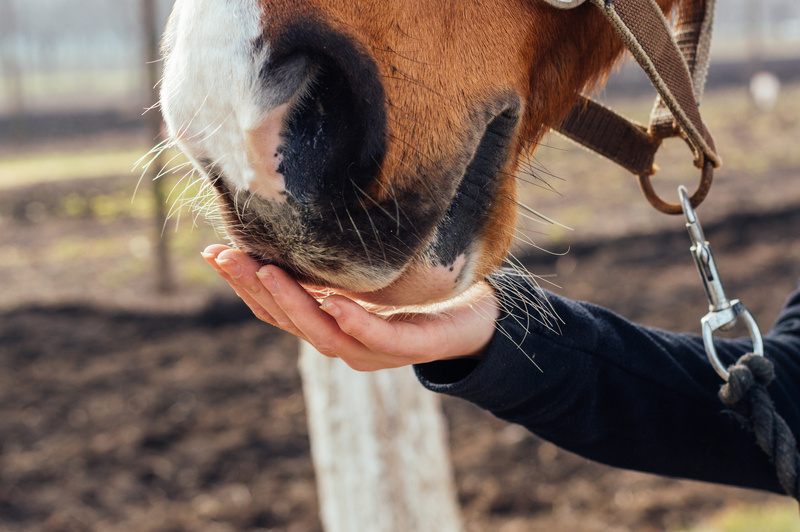 While good veterinary, farrier and dental care are important for maintaining the long term health of your geriatrics, their health care should always be based on a solid foundation of good nutrition. As horses age they go through several physiological changes that affect how and what you should feed to keep them as healthy as possible. Detailed below are four of the most important of these changes and how you can best manage them from a feeding and nutrition perspective. As a horse gets older its teeth eventually stop growing and will gradually start to wear down until chewing becomes difficult or ineffective. Worn incisors (upper and lower front teeth) make it difficult for horses to graze as the top and bottom incisors need to make good contact in order to shear the pasture off. 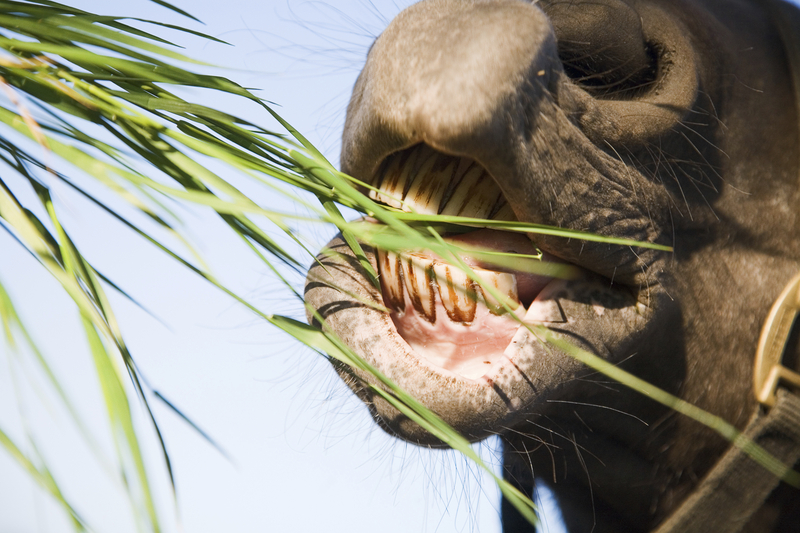 If a horse has worn or damaged incisors, but its molars used for grinding feed are still in good condition, feeding hay will allow the horse to readily get the forage into its mouth simply using its lips and tongue (no need for incisors). 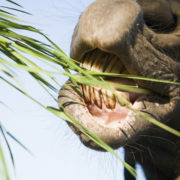 Once it is in the mouth the horse can use its molars to grind the forage as normal. However, worn or damaged molars mean grinding feed also becomes difficult, so feeding hay is not a good idea as the horse can’t chew it enough to be swallowed and digested. Feed forage that has already been extensively chopped up or processed. Forages like short chopped chaff or soaked hay cubes and pellets are good alternate forages for horses with no effective molars. Fibres like sugarbeet pulp and soybean hulls may also be used to increase an old horse’s fibre intake when they are no longer able to graze or eat hay. If you are feeding grains, the grains should always be well processed (boiled, extruded, pelleted, micronised or steam flaked) before being fed so the grain can still be digested even if they are not effectively chewed. Never feed whole grains to older horses that can’t chew very well. It is thought that as horses age their hindgut loses some of its ability to ferment fibre. This is likely due to changing populations of bacteria in the hindgut associated with ageing. A reduction in fibre fermentation means that older horses get less of the goodness out of forage (which partly explains why old horses need to be fed more to maintain their bodyweight). Because the hindgut is not as effective at fermenting fibre, there should be a focus on feeding high quality forages with fibre that is easy to ferment. Lucerne/alfalfa hay and good quality, soft meadow/pasture hays are preferable to stemmy and mature hays that have tougher fibre to ferment. High energy ‘super fibres’ like sugarbeet pulp and soybean hulls are also excellent source of fibre for older horses as they are very easy to ferment in the hindgut. Some pre‐biotics like Alltech’s Yea‐Sacc® 1026 live yeast culture (which is used in many different feeds and supplements) have been shown to improve the digestion of fibre in the hindgut, so it may make a useful contribution to the diet of aged horses. It is also likely that the hindgut of older horses doesn’t support the production of B‐vitamins as well as a younger horse’s gut does. Thus it may be necessary to supply more B‐vitamins in the diet. FeedXL takes this into account and has raised B‐vitamin requirements for aged horses. The production of biotin may also be reduced in older horses so it may need to be added to the diet of older horses. For more information on supplementing with biotin, read FeedXL Newsletter #2: Biotin – should you supplement?. As horses age they also find it harder to absorb phosphorous from the hindgut. Again FeedXL takes this into account and has raised phosphorous requirements for aged horses. In studies we conducted at The University of New England we found that an older horse had much lower concentrations of carbohydrate digesting enzymes in its small intestine than younger horses had. While it was a limited study with small horse numbers, it is likely that as horses age their ability to digest carbohydrates like starch in their small intestine is reduced. This means digesting feeds like grains becomes difficult (which also contributes to older horses needing to be fed more to hold their bodyweight). So, aged horses should always be fed cooked grains that have been boiled, extruded, pelleted, micronised or steam flaked so that the starch they contain is easy to digest. If you suspect your horse has difficulty digesting grains look for a feed that has added starch digesting enzymes or use a supplement that contains enzymes like amylase and amyloglucosidase to help with the digestion of the grains. Older horses also find it harder to digest protein in the small intestine and some with reduced liver and kidney function can also find it difficult to excrete waste products associated with eating too much protein. So the key to feeding older horses protein is to use high quality protein from lucerne/alfalfa, soybean, lupins, canola meal or faba beans to satisfy without oversupplying their requirements. Perhaps the most obvious change in an older horse is some loss of mobility. Because they can’t get around so easily, try to have them in pastures that have the feed and water sources reasonably close together so they don’t have to travel long distances for feed or water. You will also probably find that if they are kept in a herd they will slowly fall down the pecking order as they become easier to boss around. If this happens you should feed your old horse separately to avoid him having all his feed pinched by the younger horses higher in the order. If you keep in mind the physiological changes occurring in your horse as it ages it will help you to adjust feeding accordingly. Feeding forages that are easy to chew and digest, grains that have been well cooked, increasing the intake of nutrients like phosphorous and B‐vitamins, providing good quality protein, and being aware of any mobility issues that may affect feed intake will help keep your oldies happy and healthy for years to come. This newsletter by Dr. Nerida Richards was originally posted to the FeedXL user forums for FeedXL subscribers in December 2009. If you would like to be among the first to receive our newsletters then please consider becoming a FeedXL member or subscribing to our email list. There is nothing more frustrating or worrying than a horse that won’t eat. Horses go off their feed for a variety of reasons which can include illness, unpalatable feeds or gastrointestinal disturbances such as hindgut acidosis. Thankfully though, there are some things you can do to get a horse eating again. Here are some useful tips for maintaining appetite. Mycotoxin poisoning: many feeds including hay, chaff and grains can be contaminated with fungi (mould) and given the right conditions these fungi can produce mycotoxins. 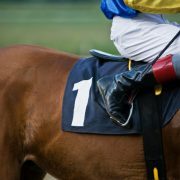 One of the early symptoms of mycotoxin poisoning in horses is loss of appetite. I often suspect mycotoxins when a change in source of hay, chaff or grain suddenly causes a horse to go off its feed. 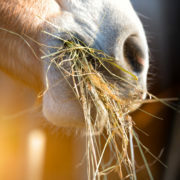 Vitamin B1 deficiency: if your horse is eating plants that contain thiaminase, remove the horse from the pasture and supplement the horse with oral vitamin B1 and provide plenty of good quality hay. 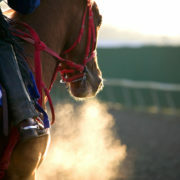 If your horse was being fed whole or uncooked grains, remove them from the diet and replace them with cooked grains (i.e. grains that have been micronised, extruded, steam flaked or thoroughly boiled) or high energy fibres like sugarbeet pulp or soybean hulls. Also provide the horse as much hay as it wants to eat. When loss of appetite is caused by hindgut acidosis the horse will often maintain its appetite for forage. An oral vitamin B1 supplement will also help to replenish depleted vitamin B1 supplies and return appetite to normal. Mycotoxin poisoning: if you suspect mycotoxins, try to locate the source of mycotoxin contamination. You can look for visible signs of mould (which doesn’t always indicate the presence of mycotoxin) or send the feeds off for a mycotoxin analysis. Equi-Analytical offer a mycotoxin screening service. Once you have located the source, remove it from your horse’s diet and replace it with a clean alternative. If mycotoxins are an ongoing concern you can look at using products like Mycosorb® that trap the mycotoxins and prevent them from being absorbed by your horse. Keep in mind that hay and chaff are common sources of mycotoxin poisoning. Unpalatable feeds: locate which feed is unplatable for your horse and replace it with a palatable alternative. If you are unsure what is unpalatable, simplify your diet back to one or two ingredients that you think your horse will eat and then as his appetite returns gradually add any additional ingredients one at a time (leaving a few days between the addition of each new ingredient). 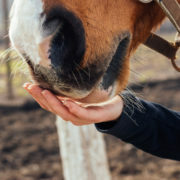 If the addition of one particular ingredient stops your horse from eating again, remove it immediately and find a suitable alternative, or in the case of it being salt, provide the horse with a salt lick and don’t add salt to its feed. If you are adding salt to your horse’s feed you can also just try removing the salt, as salt is one ingredient that will turn a horse off its feed very quickly. If your horse has stopped eating its normal ration for a period of time, even after you remove or treat the cause of loss of appetite, it is likely your horse will take some time for its appetite to return to normal. During this period of time feed as simple a diet as possible, starting with access to as much good quality hay or pasture the horse wants to eat. Then gradually add ingredients one at a time, starting with the ones your horse likes the most. Remember to leave at least 2 days between adding new ingredients. The mistake a lot of us make with an overweight or easy keeper horse is just thinking that we shouldn’t feed it very much at all, and generally feed it a very low quality diet (straw for example) or lock it up so it can’t eat much at all. The problem with doing this is that while you will do a good job of restricting calories and causing weight loss, you will also be severely restricting protein, vitamin and mineral intakes, and in doing that, you are going to cause more health problems than you can imagine. Because most pastures nowadays are designed to fatten cattle or sheep, they are now more like double chocolate mudcake than high fibre Allbran for horses, meaning horses grazing them will usually become grossly overweight. Thus we need to restrict their access to the pasture. You can do this in one of two ways. First, you can lock your horse up over a night or day period off the pasture or you can put a grazing muzzle on your horse. I like the muzzles as they allow your horse to be out wandering around and interacting with herd mates without having access to massive quantities of feed. It also still allows the horse to have its head down and be chewing all day which helps keep their gastrointestinal and respiratory tracts nice and healthy. 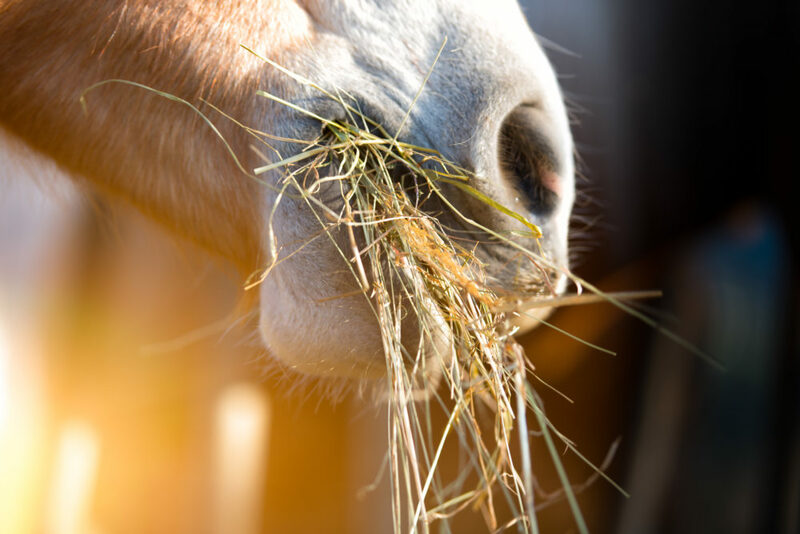 Because you are restricting your horse’s forage intake at pasture (or if your horse has no access to pasture) it is essential that you do fill your horse up with a high fibre forage. Suitable forages include weather damaged lucerne hay, cereal crop straw or a very, very mature or weather damaged grass hay like the stalky pasture hay in the photo (be careful to ensure all are mould and contaminant free).Your horse’s intake of pasture will determine how much extra forage you have to feed. Around 2% of your horse’s bodyweight (10 kg for a 500 kg horse) should be the minimum you feed to a horse with no access to pasture. If your horse does have access to pasture you should feed less than that, but the amount really depends on your horse and the quality of your pasture. Use FeedXL to work out how much hay is needed to meet your horse’s feed intake requirement, without overfeeding digestible energy.To extend the amount of time it takes the horse to eat its hay and help prevent boredom, put the hay into 2 or 3 hay nets as this makes it harder for the horse to pull it out and eat, so will keep the horse chewing for a lot longer. While you need to restrict your horse’s calorie intake (by restricting access to pasture and feeding low quality forage) you need to make sure that you still meet their protein requirements. Failure to meet protein requirements can result in muscle wastage, poor hair coat and terrible hoof quality.Full fat soybean or soybean meal contains the best quality plant protein available. You only need to add a small amount (up to 400 grams per day for a 500 kg horse on a diet of poor quality hay) to help maintain hoof and coat quality and avoid muscle wastage. 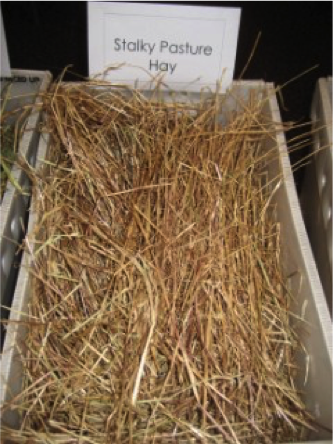 You can also add a small amount of lucerne hay or chaff to the horse’s diet to add some quality protein. It is essential you do not compromise the overweight horse’s health by restricting vitamin and mineral requirements. Adding a low dose rate vitamin and mineral supplement to an overweight horse’s diet will meet their vitamin and mineral requirements without adding unneeded calories to the diet. You should look for a ‘complete’ vitamin and mineral supplement that is fed at a dose of less than 100 g/day. Over the years I have found that horses on restricted diets often lack shine in their coats, even though they are on well balanced diets with all their protein, vitamin and mineral requirements met. This is likely due to a lack of oils, and more specifically the omega fatty acids in the poor quality forage diets they are being fed. Adding a 1/4 of a cup of oil that contains both omega 3 and omega 6 fatty acids (for example canola or soybean oil or commercial oils with added omega 3) to their diet per day will make sure they have their essential omega fatty acid requirements met to keep their skin and coat nice and healthy. All horses should have constant access to a salt lick and easy keepers are no different. Always make sure your horses can get to salt. It should also go without saying that they must have constant access to clean, fresh water. Restricted access (either with grazing muzzle or yarded overnight) to average quality pasture. If the pasture quality was ‘poor’ (dried, brown with seedheads present) some full fat soybean would be used to provide quality protein. It is worth the effort putting together a diet for your overweight horse as he or she will be all the healthier for it. Just giving them poor quality hay or straw or locking them in a tiny dirt paddock is not a solution to weight problems. Remember, you must restrict the calories but provide for all their other nutrient needs, otherwise you will end up with a skinny, but very unhealthy horse! Photo copyright © Nerida Richards – Equilize Horse Nutrition. This newsletter by Dr. Nerida Richards was originally posted to the FeedXL user forums for FeedXL subscribers in September, 2009. If you would like be among the first to receive our newsletters then please consider subscribing to our email list. While many of us struggle to keep weight off our horses (and ourselves!) it seems a large number of horse owners have equal trouble when it comes to putting weight on their horses. Putting weight on, and keeping weight on a horse that is a “hard keeper” can sometimes be a frustrating task for the horse’s owner. But, it needn’t be a difficult thing to do. 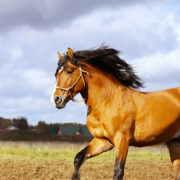 This article will walk you through the most important things to consider, including the best horse feed for weight gain. 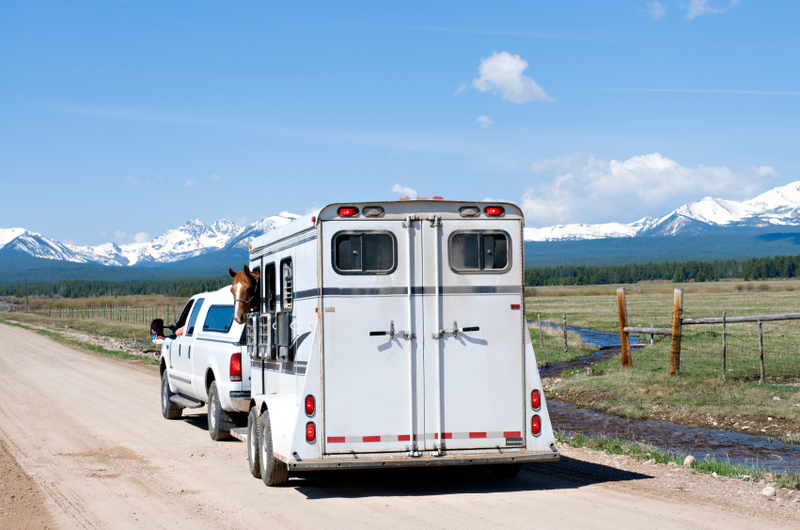 Make sure your horse is wormed with an effective wormer. If you are not sure which wormer to use ask your veterinarian and make sure that you are worming for Bots as well as Tapeworms at the appropriate times of year. Have a qualified dentist correct any issues with your horse’s teeth. If it is painful or difficult for your horse to chew he/she just physically won’t be able to consume the amount of feed needed to gain weight. Ask your veterinarian to carry out a full health check to make sure there is no underlying disease like gastric ulcers (which will be common in off the track or spelling thoroughbreds) that are going to prevent the horse from eating and gaining weight. If you do discover your horse has a problem with ulcers have them treated with appropriate medications. Likewise if any other disease conditions are found work with your veterinarian to resolve them. Please note that if your horse is emaciated and has come from a starvation situation you should follow the guidelines published by the American Association of Equine Practitioners for caring for starved/emaciated horses. Introducing feeds too quickly into the diets of these horses can result in ‘refeeding syndrome’ and death. The guidelines can be found here: http://www.aaep.org/pdfs/rescue_retirement_guidelines.pdf. Weight gain occurs when the amount of calories provided in the horse’s diet exceeds the amount of calories the horse ‘needs’ on a daily basis – the excess calories are stored by the horse and thus contribute to weight gain. Many horses have problems gaining weight simply because they aren’t being fed enough to gain weight. After addressing worms, teeth and health, the most important feeding step when you want a horse to gain weight is to provide as much pasture or grass/meadow hay as the horse can eat. You can do this by either giving your horse 24 hour access to pasture or by feeding just enough hay that a little is left over each day. If you can devise a way to feed the hay at ground level without the horse walking all over it will mean the left over hay isn’t wasted. If you can’t find grass/meadow hay, oaten hay is a suitable substitute. Feed lucerne hay. Lucerne (known as alfalfa in North America) is a high energy forage and makes a valuable contribution to raising a horse’s calorie intake above their daily requirement to encourage weight gain. Lucerne will also provide your horse with good quality protein which will facilitate muscle development. This is particularly important if your horse suffered muscle wastage at the time that weight loss occurred. It is difficult to make a recommendation as to exactly how much lucerne should be fed as each horse’s requirement will vary depending on the degree of weight gain required, their temperament (as occasionally lucerne hay will cause behavioural changes in some horses) and the quality of grass/meadow hay being fed. Between 0.5 kg and 1 kg of lucerne hay per 100 kg body weight per day is a good place to start. High energy fibres—including soybean hulls, copra meal and sugarbeet pulp. These feedstuffs are similar to pasture and hay, however the fibre they contain is more readily digested by the bacteria in the hindgut meaning they contain a similar amount of calories as cereal grains. These feeds are particularly well suited to horses that become excitable and hyperactive when fed grain based feeds. Cereal grains and grain based feeds—cereal grains are well known as being high energy feeds and are useful in the diet of horses that need to gain weight. However some grains and grain based feeds are more suitable than others from a weight gain perspective. 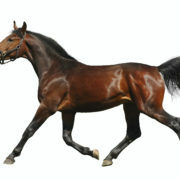 When selecting grains to feed to encourage weight gain it is critical that the starch within the grain (which is the high energy component) is digested in the small intestine.Grains that are digested in the small intestine will provide your horse with more calories (and therefore more weight gain). Grains will also ensure your horse avoids problems with hindgut acidosis which can cause laminitis and will also reduce the amount of energy your horse can extract from its pasture and hay. To ensure the starch is digested in the small intestine, select grains or grain based feeds that have been cooked (such as via extrusion process Pryde’s use). Cereal grains should not be used in the diets of horses with Cushing’s disease or those susceptible to laminitis. 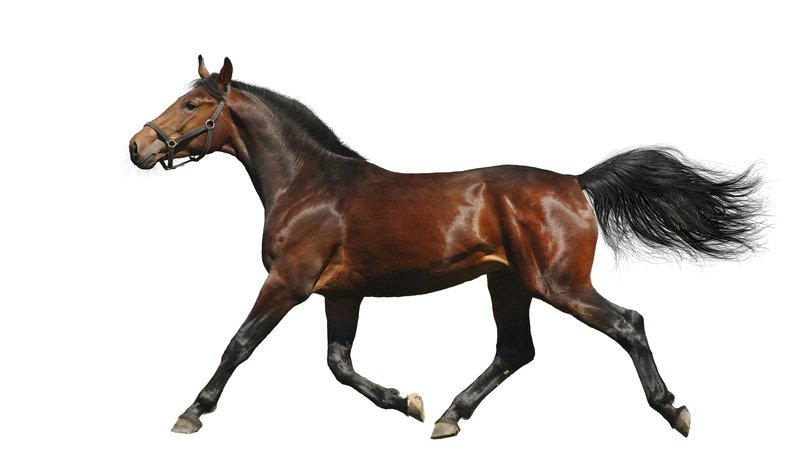 High fat feeds or oils—high fat feeds and oils are the highest energy feedstuffs you can give a horse. Fats and oils hold two major advantages over high energy fibrous feeds and cereal grains. The first is they are energy dense – for example 1 cup of vegetable oil contains as many calories as 1.2 kg of oaten chaff. This has obvious advantages for finicky or small horses that won’t eat large meals. The second advantage of high fat feeds and oils is they don’t tend to make a horse as hyperactive as the same quantity of energy supplied in the form of cereal grains. In addition they do not carry the risks of digestive upsets that accompany cereal grains. High fat feeds include rice bran and rice bran based feeds, copra meal, and any of the full fat oilseeds such as soybean and sunflower. Make sure the diet is balanced—if your horse’s diet is unbalanced from a protein, vitamin and mineral perspective it is likely that this will prevent your horse from gaining weight, regardless of how much you are feeding it. Using the FeedXL nutrition software will make sure your horse’s diet is balanced and that there are no deficiencies which may be preventing weight gain. If you’re not already a member, click here to learn more about our plans. Unfortunately when we start feeding our horses a well balanced diet with calories in excess of their requirements, they tend to try and find gainful employment for all their new found energy which often results in unruly, undisciplined and at times dangerous behaviour when we ride them. The question then is, how do you feed your horse for weight gain without having them trying to kill you when you ride them? 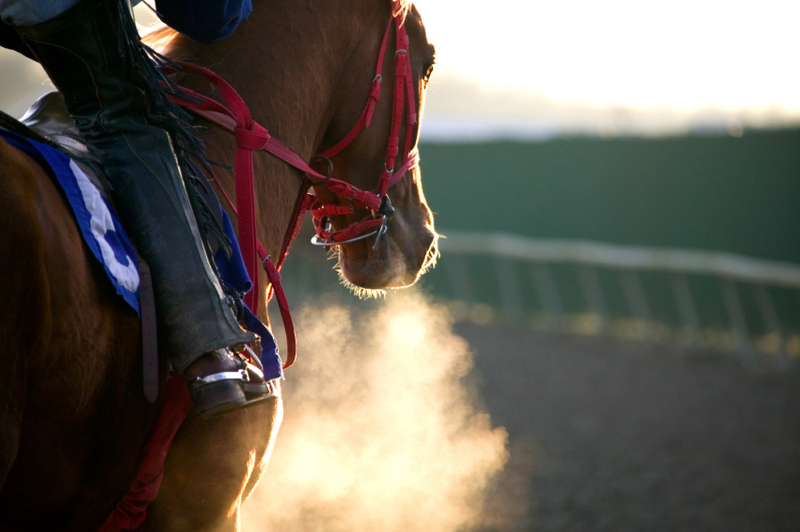 The answer to this million dollar question is … you can’t, unless your horse is well disciplined to begin with. If you own a horse that you can only just control when it is not being fed for weight gain, then you should not expect that you will be able to feed it gross amounts of feed to encourage weight gain AND still ride it safely, because it is just not going to happen. The golden rule is education first, feeding for weight gain second. The exception to this rule is when you have an emaciated horse that needs to be fed to gain weight before you can begin riding it. You may still find that a well educated horse becomes a little more difficult to handle when being fed a high energy weight gain diet. In this case, altering the types of feeds you are using may help. The high energy fibrous feeds and high fat feeds and oils tend to have the ability to promote weight gain without having as much effect on their behaviour. But this isn’t always the case so you still need to be careful. When will your horse start gaining weight? You should not expect that your horse will instantly begin to gain weight once you have placed him on a ‘weight gain diet’. Some horses and particularly those who have come from an emaciated state will have internal damage caused by weight loss that they must repair before visible weight gain will occur. Even if this is not the case visible weight gain may take weeks to appear. In short, make sure your horse is healthy, develop and feed a well balanced diet using your preferred ingredients, don’t skimp on feeding hay and be patient. It doesn’t matter which equine discipline you are involved in, building and maintaining a strong topline on your horse is important. Strong toplines attract judges or buyers and also help ensure the horse’s back remains strong and healthy. While work and correct muscle conditioning play a huge role in developing and maintaining topline, nutrition plays an equally important role. To build topline you need to provide the right nutrients. Here are some tips on feeding for topline. 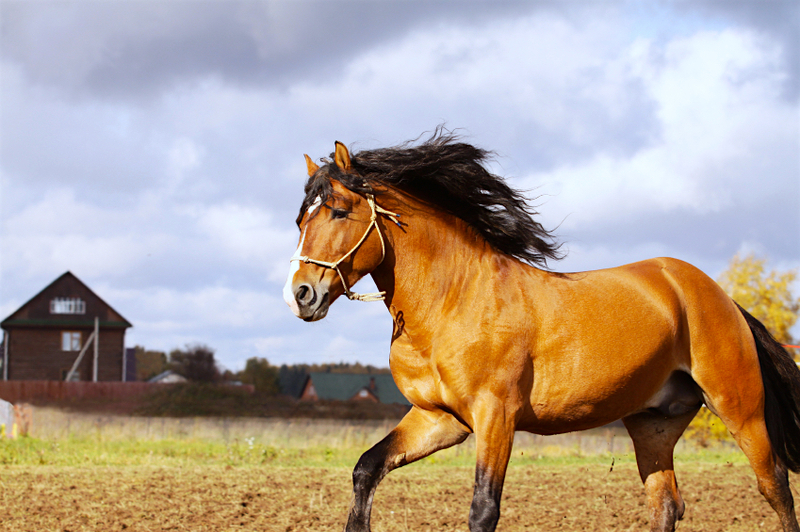 Underfeeding means your horse will need to dip into its stored energy reserves to fuel the muscles for work. 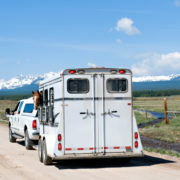 Horses will quite quickly break down their topline to use it for fuel if they are underfed. To build topline you must provide the building blocks your horse needs to make muscle. Using feeds with protein provided by soybeans, lupins, faba bean or canola meal will give your horse access to good quality sources of protein, which builds muscle. Feeds with one or more of these protein sources are best. Avoid feeds containing cottonseed meal as the protein source. Cottonseed is a poor source of protein that is deficient in the most important amino acids (amino acids are the building blocks of protein). Feeding some lucerne hay will also contribute good quality protein to the diet. Feeds such as KER Equi-Jewel and Pryde’s ReBuild are based on rice bran and are designed to provide extra calories and protein to help build topline. You can also use whey protein isolate or soy protein isolates. Once again it really is so important to ensure your horse’s diet is meeting all of its nutrient requirements as any deficiency will stop your horse from reaching its potential and this includes its potential for building topline. Also, minerals like zinc are needed to effectively build muscle; failing to provide these nutrients will inhibit muscle growth, no matter how well the horse is being worked and fed with quality protein. Again, this is where FeedXL is so useful; knowing that you are feeding a balanced diet that does meet your horse’s nutrient requirements. Use properly fitted saddles at all times and quickly treat any back injuries that may occur. A horse with a sore back will avoid using its back muscles correctly, in turn preventing it from building a strong topline. Feeding a good diet with quality protein, in conjunction with exercise aimed at strengthening the topline should give you noticeable results in 4 to 8 weeks. This newsletter by Dr. Nerida Richards was originally posted to the FeedXL user forums for FeedXL subscribers in February, 2009. If you would like to be among the first to receive our newsletters then please consider becoming a FeedXL member or subscribing to our email list.